This wonderful holiday tradition is a great way to get into the true spirit of the season. The performers are amazing, the pieces they choose to perform really lovely. AND there is no need to get tickets! There is no price to attend this fabulous event! There is a free will offering, which is completely optional. Should you choose to contribute, every penny is donated to the Berkshire Food Project! Join us for a beautiful afternoon of music and holiday spirit! 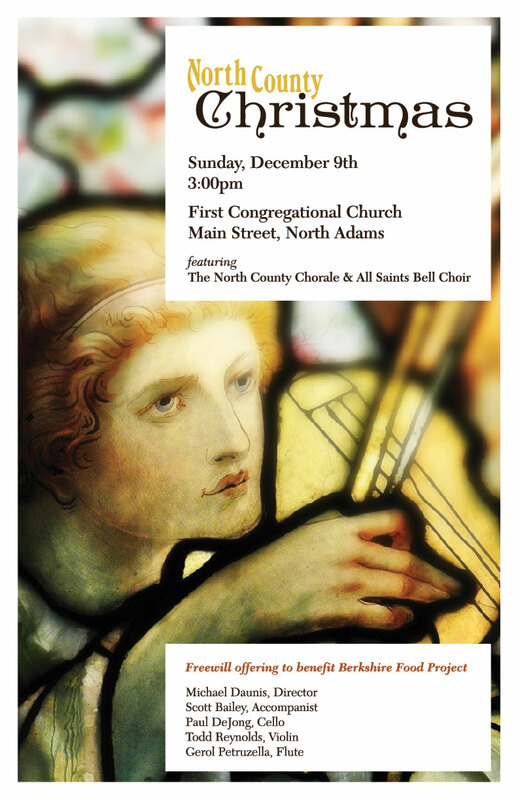 Join us on Sunday, December 9 at 3 PM. The concert is held in the Sanctuary of the First Congregational Church, 134 Main Street, North Adams, MA.